Plant Based News has partnered with top chef Epivegan to offer readers anywhere in the world* the chance to have a meal cooked for them by the man himself. 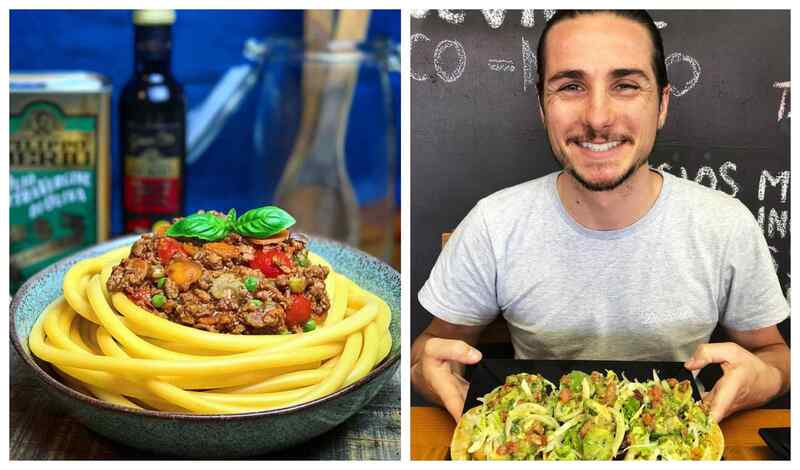 Epivegan - aka Brett Cobley - has launched the competition to celebrate the release of his new cookbook What Vegans Eat, which is available for pre-order now. "This competition combines my two greatest passions: great vegan food and traveling," he said. "I am hoping this competition takes me to a place I've never been before to cook, explore and spread the word that vegan food is the one." "The book is aimed at converting as many people as possible to veganism by giving them simple, delicious recipes. They can enjoy the food as well as see how easy it is to be vegan," says Cobley, who ditched all aninal products overnight 2.5 years ago after watching the YouTube video 101 Reasons to go Vegan. "When presented with a reasonable logical argument to go vegan, I felt like I had no choice but to go vegan, as it was the first and most simple step to protect animals and start to reduce our impact on the planet. Soon after going vegan I asked myself the most obvious question 'what do vegans eat?'. That is what prompted me to start my Instagram and YouTube channel @epivegan where I post daily food inspiration and ideas to make it easy for people to cook vegan." To be in with a chance of winning, you have to create a video story on Instagram explaining why you want Brett Cobley to cook for you. Tag @epivegan and @plantbasednews and post the story. All entrants will be collated, and Plant Based News will pick a winner in two weeks' time. "I will fly out and cook for the winner and a friend of their choosing wherever they are in the world," says Cobley. "The trip is 100 percent funded by myself, and is my way of saying thank you to all of the followers who have shown me so much love and support." *Plant Based News will offset the carbon emissions of Cobley's travel by planting trees.